You ladies are making me WANT to cook. Hubby does itin the summer. Visiting via They Call Me Jammi. Would you be so kind to (& tell your friends) comment on my BLOG ONLY (emails don't count), for the Miracle Makeover fund drive. Charlie, 8 yr. old, & his story are fabulous. Every comment brings us a $1 for the next person that will be sponsored. This sounds delicious and I have some basil that needs to be harvested so I was planning on making pesto anyway! Just stopping by from OTMM to say, this is a great recipe for my basil it looks like a great recipe. Thanks for sharing and have a good week! This sounds so delicious and healthy. I saved it to my recipe bookmarks. I can't wait to try it! Thank you for sharing. What a great chicken dish. 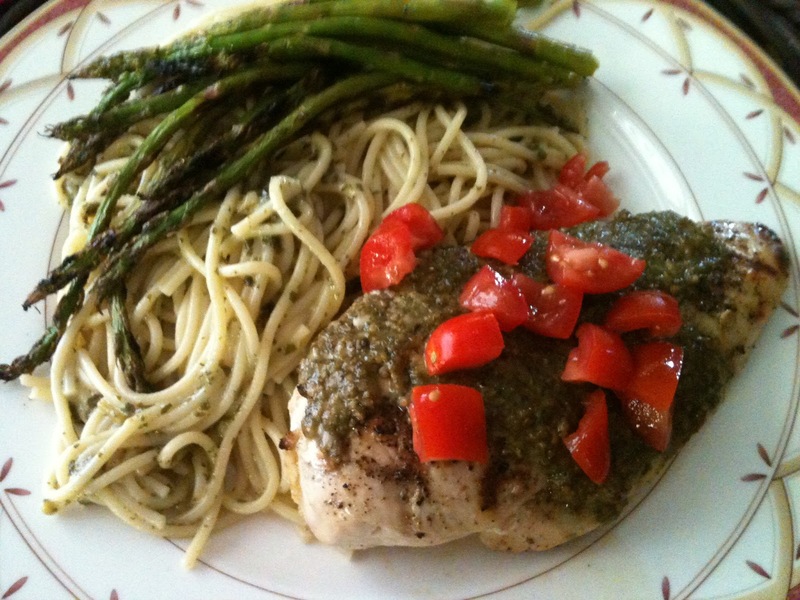 The fresh pesto is always a great addition to any recipe. We have great basil in our garden right now, this will be a great recipe to try. Hope you have a great week end and thanks for sharing with Full Plate Thursday!